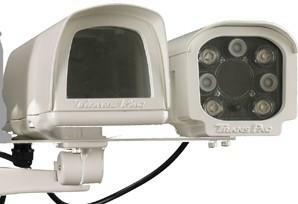 System comprises TPH1000 Extruded Aluminium External Camera Housing with Semi Cable Managed Wall Bracket. IR60 matching High Power Long Life LED Lamp and Bracket to attach to TPH1000. 24V AC. High Grade IP66 Camera Housing with single matching IR LED Lamp. 24V AC.